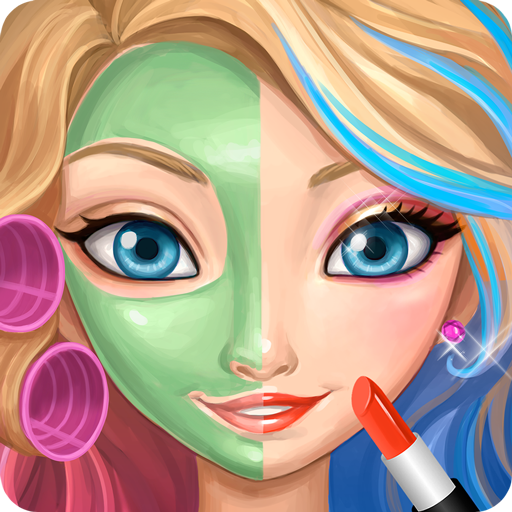 New, Free Fashion Makeover Game: Be a fashion designer and create fashion stars! With Friday Party Makeover, you get to run the show. Kate is getting ready for her Friday night party and it is up to you to help her. From makeup to clothing, Kate’s makeover is entirely up to you. Princess or geek chic, her style is in your control. Use your creativity and come up with the next fashion trend and be the ultimate fashionista! The only fashion game I've ever played with no glitches. Plenty of free choices. I just wish you would make more fashion/makeup games!! Hours of fun for my step daughter and me. ★★★★★ - Faith S.
This is the best game ever you should get it because you can use a lot of different vitiates of make up and clothes. I also like it because the clothes match each other. ★★★★★ - Sofie P.
It's a quick and easy game and it's really good. It has the prettiest dresses too ★★★★★ - Charlie G.
It is the best game ever because it includes loads of fashion. Everyone should download this game, that is how great it is. ★★★★★ - Adam C.